As the Chief Operations Officer for a municipal water and wastewater utility in central Texas, Mr. Homan is responsible for all administrative and operational functions including municipal water production, water conservation, wastewater processing and recycling, equipment and facilities management, personnel management, customer service, strategic planning and legal compliance. He administers a general operating fund budget of $14 million, numerous major construction projects, and a staff of 65 personnel. As a results oriented senior manager with strong technical experience, Mr. Homan has a record of accomplishments in utility production, water chemistry, personnel management, facilities management and resource planning in venues such as industrial repair, production facilities and industrial training facilities, including overseas operations. 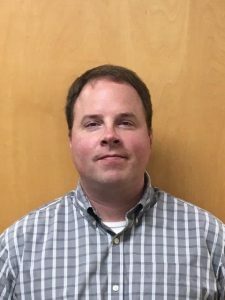 He has an extensive background in planning, implementing and directing physical plant upgrades, training, developing and managing utility employees and supervisors, as well as performing utility inspections for regulatory and safety compliance. Prior to his career in utilities management, Mr. Homan served 20 years in the US Navy in the Nuclear Power sector. Holding positions of increasing responsibility on various vessels and Commands culminating in his promotion to Master Chief Petty Officer where he managed the regulatory compliance of the water chemistry and radiological controls programs for all west coast nuclear powered Aircraft Carriers. He holds a Bachelor of Science in Applied Science and Technology; Nuclear Engineering Technology from Thomas Edison State University in Trenton, New Jersey.